Gorgeous limited edition collaboration from Giannina Capitani and artist Alice Dansey-Wright. 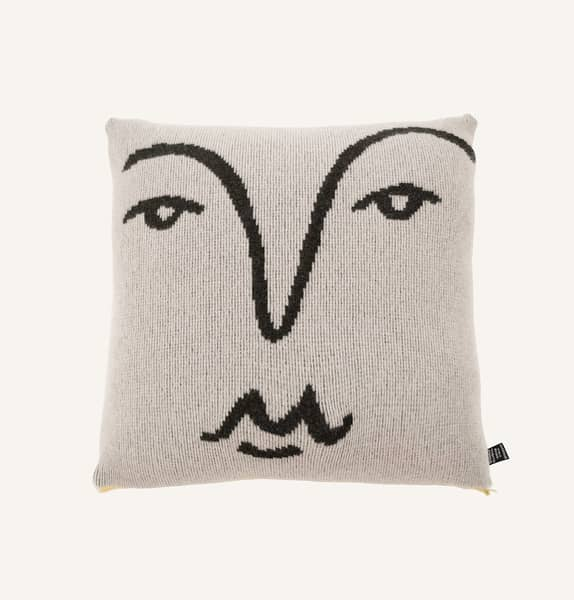 We love this sultry face design in ultra soft merino wool. Apparently the secret to the softness is that it's only sourced from the neck of the lamb... shhh don't tell anyone. W.A.Green in London, United Kingdom.